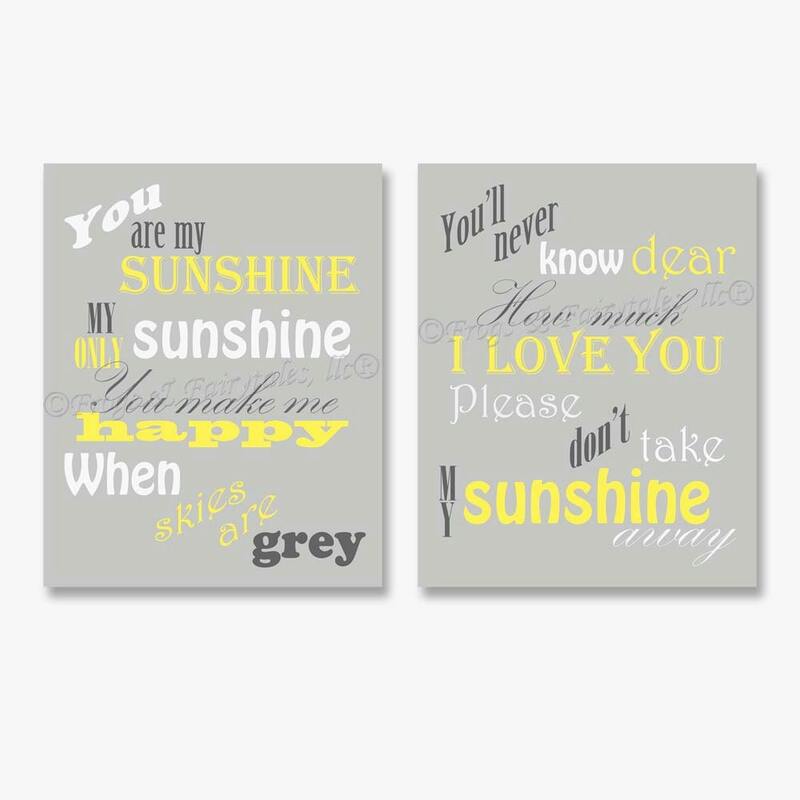 "You are my sunshine, my only sunshine. You make me happy when skies are grey. You'll never know dear how much I love you. Please don't take my sunshine away." 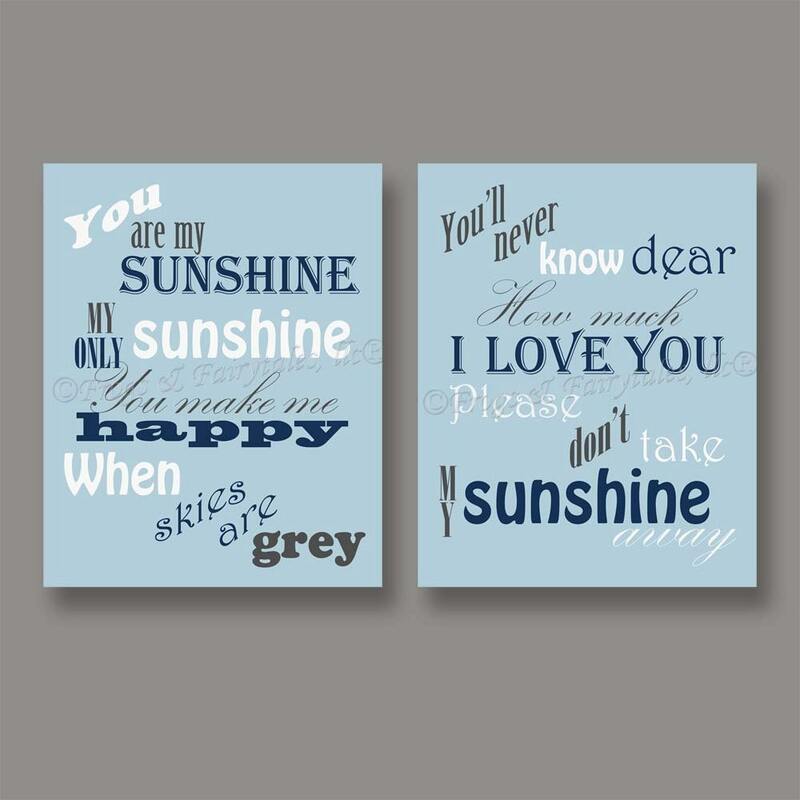 A lovely song to have hanging in your little one's room! 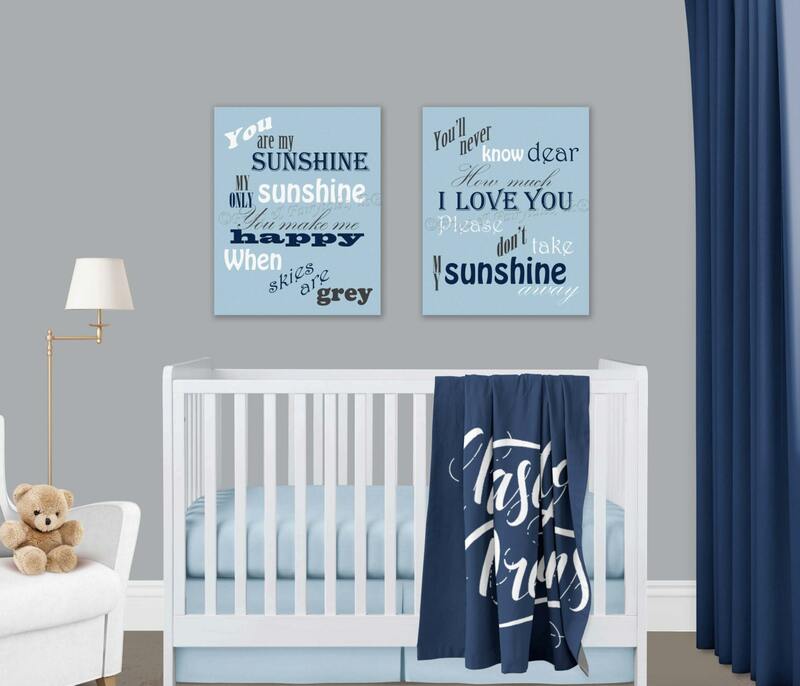 The listing pictures show this design in three different color schemes. 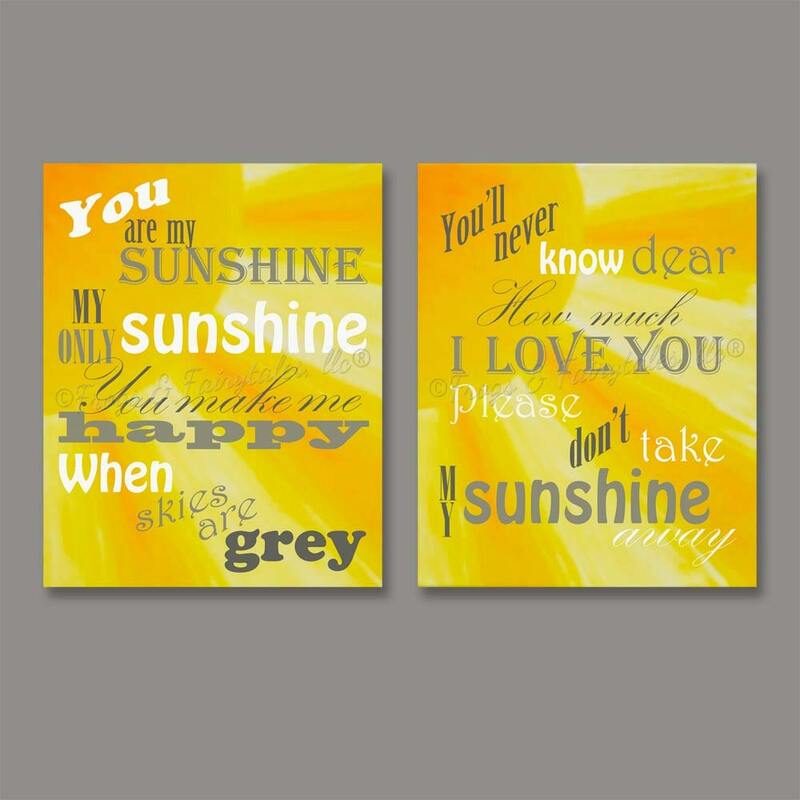 Pictures 1 & 2 show a blue, navy, white, and grey color scheme, picture 3 shows a light grey, yellow, white, and dark grey color scheme, and picture 4 shows a sunshine background with light grey, dark grey, and white lettering. You can choose from any of these color schemes using the drop down menu, or you can choose custom colors to have them printed in any color scheme not shown above. If you choose custom colors, please leave your color requests in the note to seller section of your invoice. If you select custom colors, we will message you with a proof to approve before printing. Watermarks will not appear on your prints.